Christopher Wing was called to the Bar in 1985 and admitted to the Western Circuit in 1987. A specialist in criminal law, he has an enviable reputation as an approachable and skilled advocate gained from his considerable experience in both defending and prosecuting cases at all levels. His reputation as an advocate was borne from his skill in presentation of evidence and argument in court, principally, although in particular he is praised for his examination and cross examination of witnesses, including police officers, experts, children and other vulnerable witnesses. Admitted to the list of defence counsel for the International Criminal Court in October 2007, he regularly attends conferences and training sessions in The Hague in order to keep up to date with the latest developments in international criminal law. He was recently been admitted to the list of lead defence counsel for the Special Tribunal for Lebanon. Having recently returned from a training course in the Hauge, Christopher was asked to assist in drafting a petition to the Supreme Court of India to compel the Indian Government to request the return of Indian POW’s from the Republic of Pakistan. Christopher has both prosecuted and defended in benefit fraud cases which require close scrutiny of payment records defendants bank accounts and relevant regulations. 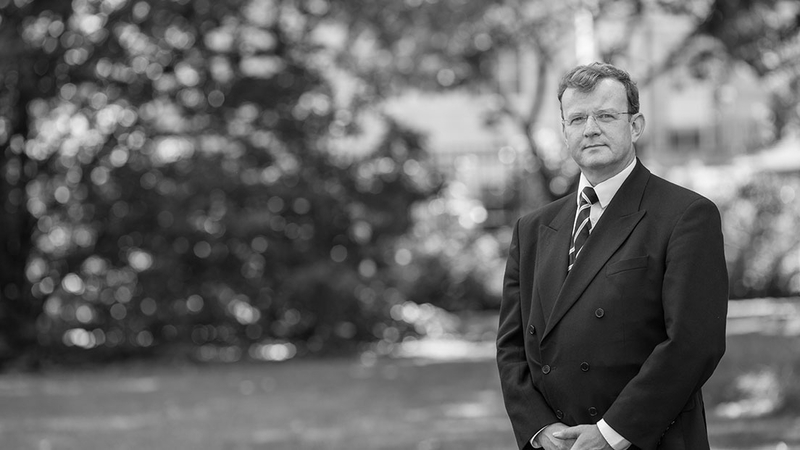 In addition to his Criminal practice, Christopher has experience of representing clients who have fallen foul of professional regulators, in particular the GMC. His recent experience has required extensive knowledge of the Medical Act 1983 and the procedures involving the I.O.P. and the Fitness to Practice Panel. Defended senior Naval Officer of expenses fraud, required in depth understanding and analysis of the online payment scheme, including tracking payments through the system. In addition had to reconcile payments shown on his bank and credit card accounts to expense claims shown on the MOD system. Successfully prosecuted manager of care home who was syphoning off money from patients accounts, again had to conduct extensive ‘tracing’ exercises showing money moving from patient accounts to defendants account either via care home account of unauthorised withdrawals. Defended senior Army NCO over allegations of fraudulent expense claims again I acquired in depth understanding of the online “Joint Personnel Allowance” (JPA) scheme, and I had to study closely the Army regulations in that applied to these payments, the application of this knowledge coupled with taking detailed instructions from the client lead to his acquittal. Prosecuted a fraud involving illegal selling of commodities owned by the NAAFI to the defendants who were food suppliers to H.M.Prisons, had to conduct an in depth study of the stock records which proved the precise movements of the goods from one section of the storage facilities to another, and then compared those with the accounting records which in turn demonstrated that no payment had been made, once this had been done and served on the defence guilty pleas were offered.